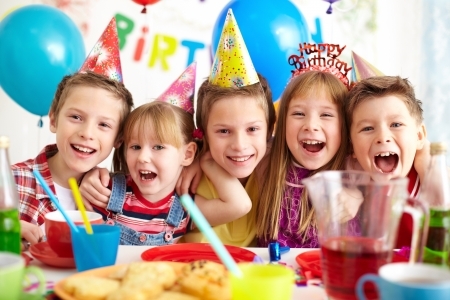 Your child’s birthday is a time of celebration, but planning his or her party can be a challenge. From logistics to budgeting, there are many issues that may arise. So what can you do to tackle them? Renting space at a venue for the party, whether it’s a movie theater or bowling alley, can be costly and may not allow a lot of flexibility in space or timing. Hosting the party at your own house will help you save money and maintain control of the logistics. If you really don’t want to use your home, consider having it in a public place like a park or a town building, which won’t cost a lot. Kids always want lots of stuff, especially for birthdays. But you may not have the bandwidth or budget to check all the boxes on their wish list. Try getting creative – DIY decorations, or even reuse ones you already have! Consider sending e-vites from websites like Paperless Post or Evite instead of paper invitations to help save on costs. And avoid party stores, as they charge a lot more since they are specialty stores. Keep the menu simple. Kids will be happy with easy and inexpensive food like pizza or hotdogs and hamburgers. And rather than spend a fortune on a custom cake, consider baking your own. Kids won’t care where it came from, just as long as it’s there! There are lots of fun and free or low-cost activities that will keep kids happy and entertained. Try musical chairs, red rover, and any other games that keeps kids moving and playing. Here at New Joy Entertainment, we offer fun, inexpensive party rentals to fit everyone’s needs. From pony rides to bounce houses to face painting and more, we bring our love of animals and country lifestyle to kids’ parties throughout the Tristate region. Contact us today to book your party!